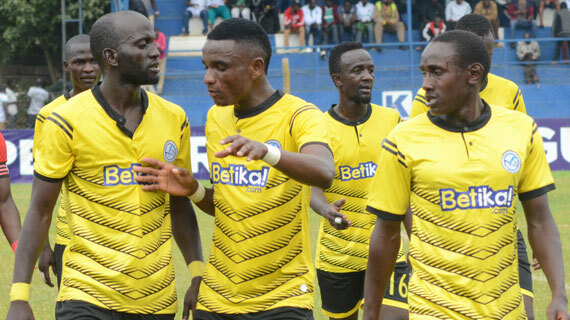 Sofapaka, the 2009 Kenyan premier League champions dropped two vital points on Wednesday evening after being held to a 0-0 draw by Ulinzi Stars at the Kenyatta Stadium in Machakos to see their league hunt suffer a massive blow. The draw leaves Sofapaka with a three point deficit to leaders Gor Mahia who have played three matches less. Batoto ba Mungu seemed the likeliest of challengers to Gor Mahia for the title, but two draws in their last three games have seen that drive hugely maimed. Batoto ba Mungu will now hope that Gor drop points along the way with only 12 rounds of matches left. With Gor looking unlikely to continue their CAF Confederations Cup journey and exiting the FKF Shield, they will definitely put all their arsenal into the defense of their crown. Meanwhile, Mathare United look to have effectively walked off the contention to vie for the title after losing 2-1 to Sony Sugar at the Kasarani Stadium. Enock Agwanda scored the winner for the sugar millers after Klinsman Omulanga had cancelled out Daniel Otieno’s early opener. Robert Achema provided the opening goal in the 27th minute after he drew Mathare keeper David Okello off his line before cutting back for Otieno to tap into an empty net. Four minutes later though, Omulanga drew his side level after latching on to a rebound when Sony keeper Kevin Omondi punched Chris Oduor’s shot into his path. Agwanda however won all the points for Sony three minutes later when Achema once again provided the artillery with a brilliant cross from the left that was headed home by Agwanda. Mathare remained fourth in the standings nine points off leaders Gor Mahia. Elsewhere, AFC Leopards’ revival was slowed down with a 1-1 draw against Kakamega Homeboyz. Whyvonne Isuza put Ingwe ahead with his second goal in as many matches, but an own goal by keeper Jairus Adira meant the spoils were shared. New signing Paul Were didn’t feature with his international transfer certificate still pending.